After what seemed like a long four year hiatus, our favorite sister duo Mary Mary return with new music inspired by the new Paramount/MGM movie Ben Hur, produced by Mark Burnett and Roma Downey. Back To You is written and produced by Warryn Campbell and makes its exclusive video debut on Thursday, July 21 at 2pm EST / 11am PST on BET.com. 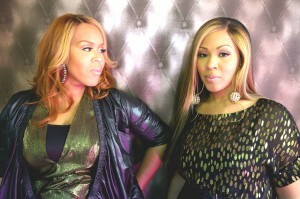 In addition, Tina and Erica will perform the song as they visit the set of The Preachers on Friday, July 22nd. Check your local listings for time and station information in your area. This entry was posted on Wednesday, July 20th, 2016 at 1:20 pm	and is filed under Artist News and Updates, Movies, Videos. You can follow any responses to this entry through the RSS 2.0 feed. Both comments and pings are currently closed.